Morbs start life as a table-tennis type balls but instantly convert into a big headed, small bodied Morb character when thrown or rolled across a table. These sensational characters are divided between warriors and monsters - this provides an all important competitive edge to what otherwise would just be your standard collectable. Three different Mega Morb launchers can be purchased to blast the Morbs out of their stomachs with a simple squeeze on their backs! Don't expect this to be the end of the matter though. The Morbs Sonic Fighter Jet not only fires missiles but blasts Morbs out of its opening canopy into "morbit"! No doubt this aircraft will be responsible for many Morb battles taking place in playgrounds up and down the land! 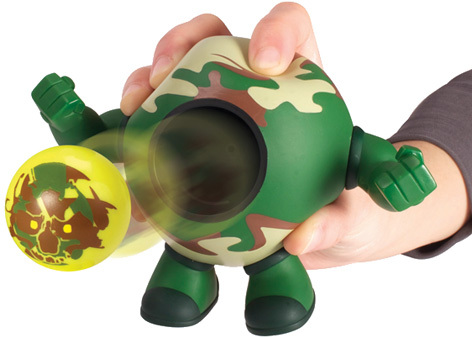 For ultimate Morbs action, kids will almost certainly want to get their hands on the amazing Morb Battle Fortress. This ultimate Morbs play set is supplied with the awesome Morb canon that operates with air bellows. Fire the Morbs at the fortress walls to try and destroy it. 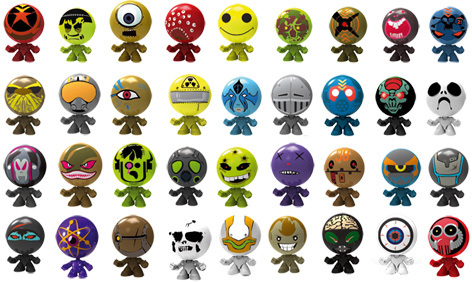 The ping-pong Morbs characters will always transform on impact into a monster or warrior! Please tell us what you think of Morbs by Flair.